The island of Bali has locations, which work in the Dry Season and the Wet Season. The dry season is the peak surfing season and it typically runs from May through to September, Mostly in the west coast of Bali. Note however that the rain season is between December and March, Mostly good in east coast of Bali. This can make surfing a little unpredictable during particular days. Water temperature is nice and warm all year round hovering between 21C – 25C. Most famous of all breaks, Uluwatu consists of a few spots working at different tides and swells. When its small even less experienced surfers can have a nab, as long as your comfortable with a crowd and don’t drop in! When it’s big it’s better left to the regulars! Most consistent wave is to the left of Ulu’s cave, ideal at mid to high tide. Tend to close out at low tide. Further out to the right of the cave is a fast long wave best surfed at mid to low tide. Fun wave that can produce a tube at the end section. Ideal at mid to low tide. Works with a good solid swell at lower tides, but expect double overhead of solid wall or more, only for the very experienced! Get your gun. Unpredictable, but can spew out one or two nice surprises provided you at the right place! World class. Most days pretty tame and surf-able for less experienced surfers at mid to high tide as long as you pull out before the inside section. But appearance can deceive. 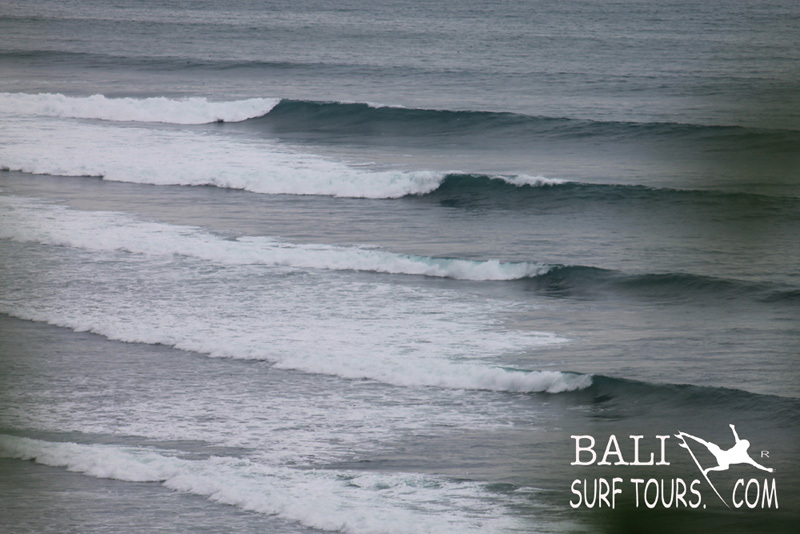 A solid swell can turn it to Bali’s “Pipeline”! Super fast, very hollow, powerful, very shallow and razor sharp reef towards the inside section. Hold up to above 12ft. Best left to the Pro’s. Surf able at all tides. Sections off during small swell. When the swell is good, it can produce long, fast, hollow and powerful solid wall. Best left to the Pro’s. Impossibles does not get very crowded, because it is such a long stretch of reef there are a few different take off spots. This wave when lining up good can be a very long and fast wave, usually when wave height gets above 5ft and the tide is mid range you can expect some very long waves. Best at mid – low tide, waves are hollow, fast and provide consistent short left hand barrels. Though the shallow reef can be unforgiving at dead low tide. Only problem, always busy with small take off spot! Suitable for experienced surfers. A brake with longer left and a short right hander. Surf able at low to dead low tide and works well when there is an average swell above 3ft coming. When the swell is over 7ft, the waves tends to be unpredictable and closes out. Soft, fat waves and deep water make it suitable for those with some learning experience behind their back. Only down side, the place can get very busy. One consolation the beach is beautiful, so are the views! Good long lefts during mid tide, needs a proper swell to work. At lower tide waves can be fast and hollow. The brake is very sensitive to wind and can get messy. 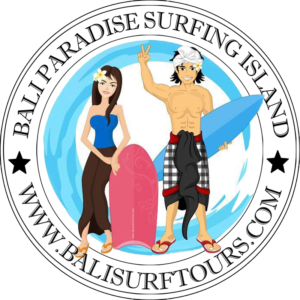 Is a new surfing point in Bali Island located beside of I Gusti Ngurah Rai Airport’s runaway (Denpasar Airport). This surfing point is World-class wave. Best surfed mid to high. Mouth watering right hander’s, fast, hollow and loads of power, end section gets really shallow, beware the sharp reef, also loads of sea urcins!!. . Only suitable for experienced surfers. one of the famous surfing points in the island of god with specific character of wave that give more challenges to the surfers to enjoy the surfing adventures here. This surfing point is situated in the middle of sea and far enough from the sea shore and force the surfers to use the traditional boat to reach this surfing spots. This place provides two surfing spots where the waves are great and powerful that are perfect for surfing activities. Suitable for beginners. Best time to surf is mid tide. Avoid very low tides, because waves tend to dump and close out. Water is also shallow, so more chance of injury. One drawback can be the crowd; however Kuta is a long beach stretching to Seminyak. So it’s not as bad as other popular surfing beaches elsewhere around the world. Best to surf between April and October where it’s mostly off shore wind. Right on front of Mc Donalds in Kuta. If else where closes out, you might find some rideable waves here. Or walk further north to Half Way Kuta. Right on front of Pro Surf School. Many say the best shaped beach wave along Kuta. Also where Billabong, Rip Curl, Rusty, Quicksilver, Volcom junior competitions are regularly held. Left is a little better than rights. Legian Beach in Generally, the further north you go the bigger the waves, and the more power you get. Just be aware of the strong rip currents here, which is well known to pull a lot of novice surfers out to sea! For less experienced surfers, these two beaches is a good stepping stone to try, before attempting more challenging breakes such as Dreamland & Canggu. If elsewhere is busy, just on front of Alam Kul Kul hotel is a less frequented spot that can produce some nice easy lefts and rights. Just on front of the hotel is a good long right hander. Again, watch out for the strong currents. Best surfed at mid to low tide. At high tide waves tend to get fat and losses a lot of power. A little more power, than Half Way Kuta, rips can be very strong. More frequented over the years, best surfed at mid to high tide. Waves tend to close out at low tide, like most beaches. When its flat in Kuta, this less frequented spot can produce some beautiful 2-3ft fun waves. If you want to escape the crowd this is the beach to surf. Berawa Beach is a beautiful beach with white sand stretch from Seminyak Beach with panoramic view to the Indian Ocean. This beach is the most enthused by the surfers because the great wave, powerful and challenge every surfer to conquer it and enjoy the surfing adventures. Berawa Beach is a beach as a tourist destination especially from domestic tourists to relax and enjoy the fresh nature with beautiful panorama surrounding area. In development of Berawa Beach nowadays, it has been many visited by tourists and become famous so much surfer want to challenge the wave for surfing adventures. This beach provides more than two surfing spots those are all giving the challenge for every surfer that they can take the surf direction from both way left-hander and right-hander. The world class of the waves in north west of Seminyak,This waves hollow very powerful. Long rights and shorter lefts, best surfed at mid to high tide. Rocky bottom, those of you who just picked up surfing be aware the waves in Canggu can be fast and hollow and fairly challenging at times. You need to be comfortable with waves in Kuta before you think of trying Canggu. Don’t forget it’s always very busy too. At low tide left inside section can get shallow. Pererenan Beach is a beautiful beach with the black sand stretch 500 meters along the coastal with the stunning scenery to the Indian Ocean. Famous beach with great and powerful waves that make it as the favorite surf spot in Bali by both surfers from local and foreign countries. Long lefts and shorter rights, best surfed at mid to high tide. Those of you who just picked up surfing be aware the waves in Prerenan can be fast and hollow and fairly challenging at times. You need to be comfortable with waves in Kuta before you think of trying Prerenan. Don’t forget it’s always very busy too. At low tide left inside section can get shallow. Best wind: North: North North East. Canggu can be pretty much surfed all year round. During the dry season the early mornings have the best conditions before the ESE – SE Tradewind kicks in. Wet season, anytime the wind is relatively light. Best tide: Usually Canggu needs a bit of water so around mid to high on the run in and then high to mid on the run out. This surf sport located north west of seminyak near by Tanah Lot temple. Soft & fun waves that can give you some power. Long lefts and shorter rights, best surfed at mid to high tide. Those of you who just picked up surfing be aware the waves in Seseh can be fast and hollow and fairly challenging at times. You need to be comfortable with waves in Kuta before you think of trying Seseh. Tanah Lot is a beautiful rocky coastline and famous throughout the world because if the unique Hindu temple set on the big rock and encircled by the seawater. This beach is one of the favorite tourist destinations for tourist who being holidays in Bali Island due to blessed by the stunning panorama, peaceful atmosphere and the unique temple. This place is many visited by tourist everyday from over the world especially during sunset that creates the breathtaking view and romantic nuance. The location of Tanah Lot Beach is apposite to the India Ocean hence it is featured by the great weaves that is ideally for surfing adventures. There are two surf spots available that give the alternative for surfer to choose the surf spot at Enjung Galuh or Batu Bolong Temple. Kedungu Beach is a beautiful black sandy beach situated in west of Tanah Lot. This beach is featured by the black sand stretch 300 yards and the peaceful atmosphere surround it that is one of the fascinations for tourist to visit this place. Kedungu is also favored by the great wave that is ideally for intermediate and adventures surfer. The wave characteristic at this beach is forcing the surfer to take the surf direction from both left-hander and right-hander. The surfers love this surf point because there two surf spots available those are all demanded by surfers. At late afternoon, your will be presented the spectacular sunset view that create the romantic nuance. This beach is suitable for relaxation but not recommended for swim due to the seawater has very strong current. Balian Beach is one of the beautiful beaches located in west part of Bali Island favored by the great and powerful wave that challenge the surfers to conquer it. The beach situated at the mouth of the Balian River in Tabanan Regency is a beautiful rocky beach blessed by the breathtaking view of sunset with warm and romantic nuance. The surfers much love this surfing point because the wave characteristics are full power, long swell and can only be taken by the surfing direction of left-hander. A long left hander, fat waves makes Medewi suitable for fun surfing and learners a like. Not suitable for absolute beginners, because the bottom consists of boulders and stone. The only draw back is the distance to the spot. Best surfed around mid tide. The main peak right and left hander is just on front of the warungs. On an average wet season day, waves reach 3-4 ft perfect for a fun day surfing. The surf however is less appealing if your lined up with thirty odd surfers or more, which is usually the case. Head to left side peak as you face the ocean usually less crowded which produces some long left and right handers. During mid to high tide, nice fat waves make easy take offs and perfect for those of you with a couple of days surf lesson experience in Kuta. Be cautious though, the waves in Serangan, with the right swell can hold up to 10ft. Sanur rights and left can produce some nice fun section waves during mid to high tide. Just watch out for the reef towards the inside. But it needs a serious swell to work proper. With 7ft in Nusa Dua, Sanur is just starting. World class wave. Secret just 2 years back. Best surfed mid to low. Mouth watering right handers, fast, hollow and loads of power, end section gets really shallow, beware the sharp reef, also loads of sea urchins!! Only suitable for experienced surfers. Easy soft wave suited for less experienced surfers. A long left and a short right. Strong currents can make it difficult to position for take off. Beautiful mountain views of Bali on clear days. A short right with some good barrels. As tide comes in, big sets can suddenly appear out of nowhere. Best at mid tide. Holds to 7ft. Shalow sharp reef which can produces some excellent barrels. Big sets out of no where when tide come in. Best at mid – high tide. Reef is dry at low tide. If there are no waves at Shipwreck or Lacerations try out this place. Works on mid to high tide. Mainly a left hander, but at high tide the short right is ride able. Be prepared for some strong currents. Only suited for experienced surfers.